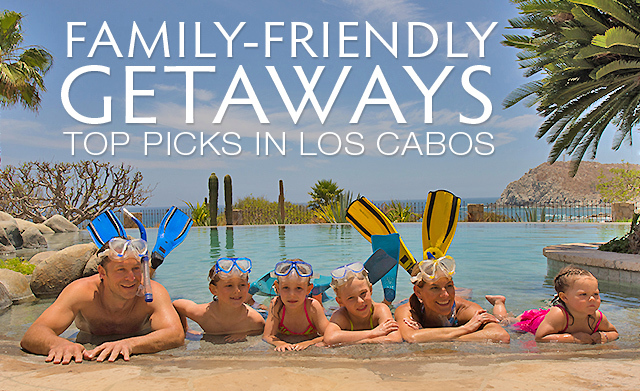 Families love planning their vacations in Los Cabos. With beautiful beaches, great activities and a range of villa rentals and beachfront resorts, guests of all ages can enjoy a great escape in Cabo. Villa rentals make a perfect home base for a family vacation, offering spacious floor plans, private pools, fully equipped kitchens and great amenities. Villas boast the winning combination of value, comfort and luxury. Make your villa stay even more special with private chef services, convenient grocery pre-stocking and much more. The villa was outstanding!! The best villa we have ever rented. Spectacular view of the harbor, extremely well-appointed and a wonderful location. It was perfect for a family of four and our children loved the pool. It was clean and well-kept. Highly recommended. Wow! What a gorgeous home in an absolutely gorgeous setting! My family of 5 had a wonderful Christmas week at this beautiful home. I would love to return again!